As a REALTOR I try to be as involved in the community as possible. I always enjoy attending the local events, meeting my neighbors, and checking in with local businesses. The other day when I was checking the Chamber of Commerce website I noticed their list of the Top 10 reasons why Possum Kingdom Lake is such a great place to live. Living here full time, I wanted to pick my Top 5 out of their Top 10. 1. Hell’s Gate - Nearly everyone in Texas can identify those two unique cliffs by looking at a photo, even if they’ve never been to the lake.This is a signature feature of Possum Kingdom Lake. It is the host home to the annual Red Bull Cliff Diving championship and 4th of July firework display! These are two MUST ATTEND events! 2. Mardi Gras -For over 20 years now, the Possum Kingdom Chamber has hosted the annual Mardi Gras celebration. The community comes together to enjoy a parade and shrimp fest followed at the PK Chamber. Everyone enjoys listening to music, fellowshipping, and entering the costume contest. 3. Active Community -I challenge you to find another community that’s as active as Possum Kingdom. From hiking and biking the 16 mile trail off of LaVilla Road, to canoeing down the Brazos River, to teeing it up at The Cliffs Golf Course, Possum Kingdom Lake has something to offer everyone. And don’t forget the annual fall Tri-Fecta Sports Competition! 4. Possum Fest & BBQ Cook-Off -Known as the official kickoff to fall, Possum Fest is a weekend long event that includes local food, music, and crafts. The silent and live auctions are the big hit and central activity of this event. Funds raised go back into the PK chamber for the community events and upkeep. 5. 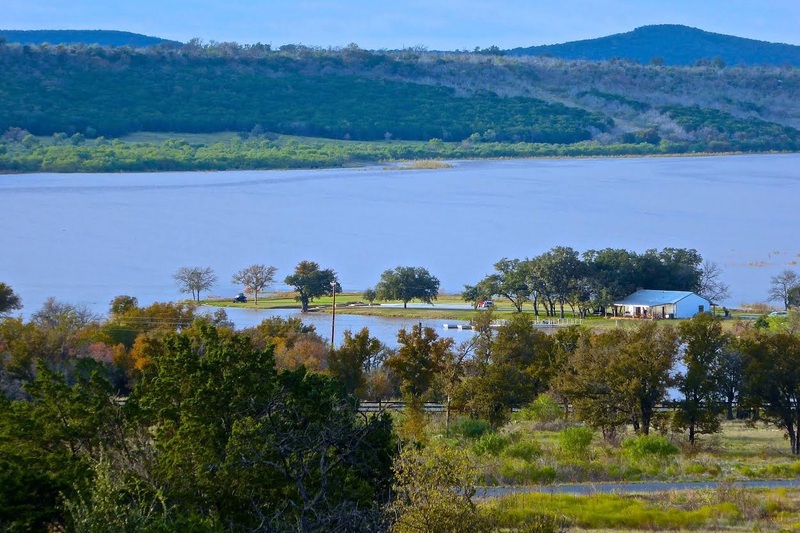 Fishing -Home to some of the best fishing in the southwest, anglers who fish Possum Kingdom Lake are sure to catch something. The lake is full of largemouth bass, smallmouth bass, striped and white bass, spotted bass, crappie, channel, blue and flathead catfish. Possum Kingdom really is it's own little Piece of Paradise…”The Best Kept Secret in Texas!”, and I’m proud to be able to call it my home!